I've just released my personal blog about optical and electron microscopy. I decided to share my experiences with my instruments, so maybe they will be of help for people who like to experiment new horizons in microscopy, modify their insturments and build new ones. You will find topics like electron microscopy, structured illumination and some lathe/milling works as well as many pictures in different techniques. Articles about a laser microdissection microscope and a spinning disk confocal will be released in the future. I hope you will find the informations useful! When will you start to share your Micrographs? You can find many in the gallery and in the articles! I have read your article on superresolution with the Zeiss universal and was very, very impressed. Superresolution in the home-shop (this is the right kind of crazy!). Thank you for sharing the details on your blog. Have you ever tried different excitation wavelengths with your setup? Do you have to refocus the grating for this? Could you post details of your Polarization modulated DIC method? I haven't tried different wavelenghs, but that wouldn't be a problem. Any inchoerent light source is very suitable for structured illumination. Refocusing the grating is very easy, there is just a knob for that. I think I will rebuild the system with a DMD in the future, a digital micromirror device will fasten the aquisition process making it virtually possible to image in-vivo. The only limit is the camera sensitivty and thus its speed. One also needs to be able to program a software which applies the reconstruction algorithms in real time. I might build one of those for my Master thesis if they like the idea! I will add details of PM-DIC in the future! Hi thanks for sharing I have book marked your web site and will go through it more carefully this weekend. I have lots of electron microscopy experience both transmission and sem experience, and optical microscopy. 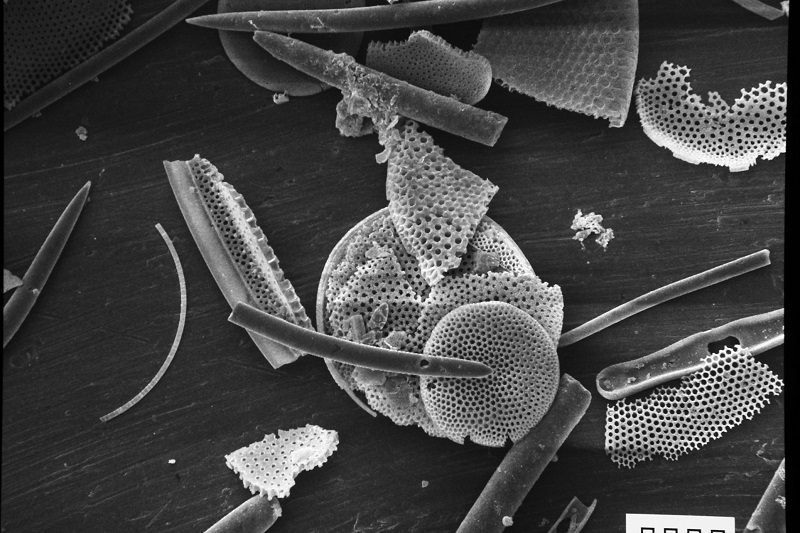 I am now using the SEM again to photograph things I want to examine like Diatoms and Radiolaria by renting the Univ. Calgary SEM. Cutting thin sections was tedious, but exciting to see the images. I am mostly interested in SEM now.